Alarming climate and eco-activist messages are saturating the British school system, according to a report by noted UK bloggers Andrew Montford and John Shade. On the same day of the report’s publication, April 8, the response of UK Secretary of State for Education Michael Gove was to warn teachers they are breaking the law if they fail to provide balanced coverage of climate change and similar issues. The affair suggests a similar independent inquiry into “climate teaching” in Australian schools would be worthwhile. Anecdotal accounts of brainwashing by activists masquerading as teachers in our primary and secondary schools are legion. Montford runs the Bishop Hill climate blog and authored the earlier forensic study, The Hockey Stick Illusion. 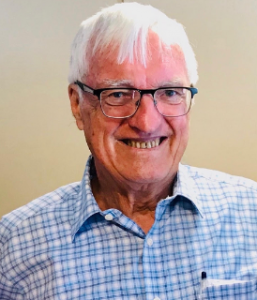 Shade is a retired statistician and physicist who focuses on climate indoctrination in schools worldwide. The report was sponsored by The Global Warming Policy Foundation. Gove’s spokesman said, “The Secretary of State read this report with concern. Ministers are clear that the new national curriculum must equip young people with the core knowledge they need to understand the weather, climate, the earth’s atmosphere, physical geography and the interaction between nature and the environment. “That means in both science and geography, pupils must learn the facts and processes which underpin public discussion of climate change. They must be equipped with the scientific knowledge to make their own judgments about political responses. They must not be directed towards a particular campaigning agenda. The UK conservative government is beginning to push back against activist indoctrination in the curriculum, legitimized by the Labour government in 2005-07. Last year it put out a draft revision of the National Curriculum for discussion, with less climate activism, but retreated under activist attack. The Climate Change Schools Project, included an activity for children to be given police officer-style notebooks. They were to ‘book’ themselves, friends or family members if they saw them wasting energy or performing other ‘climate unfriendly’ actions. This is reminiscent of Stasi philosophy in East Germany. One Scottish education programme is intended to create teams of ‘eco- warriors’ (their term) who are involved in proselytising. 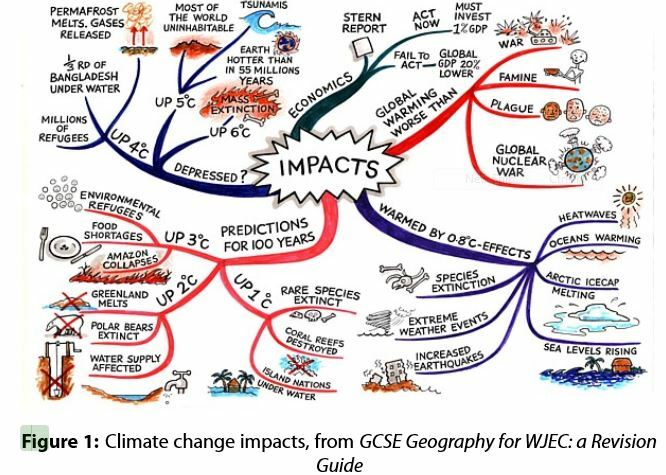 A revision guide for English adjectives gives zero marks for “global warming is bad” but if the student writes, “global warming is a serious and very worrying issue” it will be “much better – the adjectives will impress the examiner”. A geography textbook suggests that climate change is worse than nuclear war, famine and plague — a claim taken directly from a pamphlet published by a ‘passionate’ green activist. The Montford-Shade report says, “We find instances of eco-activism being given a free rein within schools and at the events schools encourage their pupils to attend. In every case of concern, the slant is on scares, on raising fears, followed by the promotion of detailed guidance on how pupils should live, as well as on what they should think. Examining online repositories of past papers for study, the authors found nearly 1000 references to climate change, with warming popping up in papers on economics, chemistry, geography, religious studies, physics, French, humanities, biology, citizenship, English and science. An Environmental Science paper awarded marks for students making the incorrect statement that fossil fuels are running out. Recycling is depicted in textbooks as always a positive thing to do, even if uneconomic or wasteful. Biofuels are advocated and costs ignored in terms of driving up food prices in poor countries. Scotland’s climate-change education promotes fiction films such as The Day Before Tomorrow (about a climate apocalypse) and The Age of Stupid (a man sits in a climate-devastated world in 2055, bemoaning his predecessors’ lack of care). The climate emphasis could have been a springboard for enhancing scientific thinking. However, having unqualified primary school teachers explain complex physical phenomena to small children has not been a successful strategy and children’s understandings remain poor, the report says. Children are also becoming fearful of the future. US and UK surveys have found primary school children pessimistic – sometimes losing sleep – about their future because of global warming. A sub-teen group was twice as worried about the climate, as about going on dates. The report’s authors recommend that concerned parents review the curricula, texts and visiting speakers (such as from World Wildlife Fund, and complain politely about bias and pessimism, and any prejudice against growth and technology. Parents should urge schools to encourage children’s inquiring minds, it continues, rather than succumb to appeals to authority. They say, “The seriousness of what we have seen is hard to overstate. The fact that children’s ability to pass their exams – and hence their future life prospects – appears to depend on being able to demonstrate their climate-change orthodoxy, is painfully reminiscent of life in communist-era Eastern Europe or Mao’s China. “The piecemeal information and examples we have reported on here seem to us sufficient grounds for concern that children remain at risk of being targeted by zealous campaigners, and of being frightened into premature personal and political actions. They are also at risk of being deprived of a more meaningful education appropriate for the 21st century – an education that would equip them to question and evaluate all claims, not least those of fear-mongering campaigners.